Social activists and local authorities in Rapa Nui or Easter Island are calling for urgent action to address rising sea temperatures, declining rainfall, and rising tides that threaten their fishing resources and their Moais, the mysterious volcanic stone monoliths. They sell their houses, cars, motorcycles, household goods, clothes and ornaments - if they have any - even at derisory prices, save up a few dollars, take a bus and, in many cases, for the first time ever travel outside their country: they are the migrants who are fleeing Venezuela by the hundreds of thousands. 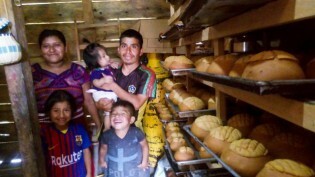 “The sun which used to torment us now blesses us," said one of the 19 women who run the Community Bakery of Varzea Comprida dos Oliveiras, a settlement in the rural area of Pombal, a municipality of the state of Paraiba, in Brazil's semi-arid Northeast. Indigenous communities in Latin America, who have suffered the plunder of their natural resources since colonial times, are reliving that phenomenon again as mega infrastructure are jeopardising their habitat and their very survival.